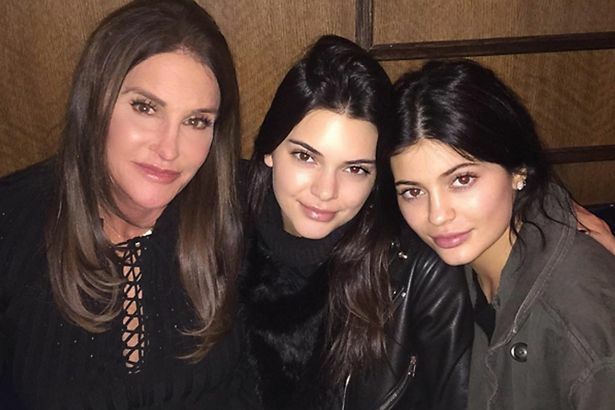 She hardly ever appears without make-up on, but Kylie Jenner ditched the slap for a selfie with dad Caitlyn Jenner and sister Kendall on Saturday. The girls had partied at Kris Jenner's Great Gatsby themed 60th birthday party on Friday night, but by the next day had traded in their glitzy costumes as they enjoyed family time with their father. Kylie - who has previously admitted to getting temporary lip fillers - looked gorgeous without her usual heavy make-up as she cuddled up to her model sister and Caitlyn. Showing off their flawless complexions, it's no surprise that the teenagers have become fashion and beauty inspirations for fans around the world. The 18-year-old captioned the picture: "fam night." While Caitlyn was invited along to ex-wife Kris Jenner's birthday, she did make a slight appearance. The 2 brothers have been putting in work these past few months and there seems to be no stopping them. Still buzzing from the release of the nice tune Zim Zimma from The Lee Temple Allstars yesterday, they have put out this brand new tune ‘Runz Girl’ which is every bit as good as their talent. Project Fame Alumni, Ayoola has just released this new tune ‘Hallelujah’ produced by the ever impressive DJ Coublon like some of his other songs. I think these two have a good working relationship and chemistry and its a beauty when things blend in like it has in this song. This is a very good tune, straight to the early mor-mor ginger tune playlist! Here’s yet another banger from Ayoola, a perfect representation of African Music laced with everything Afro. He calls this one Hallelujah produced by DJ Coublon.